Ever since I was a young boy, I always knew I was destined to run my own business. Finally, at the tender age of just 23, I got an opportunity to curtail my drive into the retail arena. I never realised the vigour I had in abundance would one day be the catalyst for my downfall. You see the mistakes you make at the dawn of your career will hound you for years to come. It takes many years to gain the guile required to run a modern-day business, which I do not believe we can gain until we have reached our late thirties and, by that time, you would have certainly tasted the bitter. For me that was bankruptcy, but I honestly believe that without this severe lesson, I would have never have appreciated the sweet. Losing everything through bankruptcy, is the ultimate fear anyone in business can be faced with. Just ask Simon Cowell – one of the twentieth century’s most successful entrepreneurs who experienced bankruptcy in his early years, but came back stronger, armed with the knowledge that had been gleaned from his demise. Richard Branson is the perfect example of youthful vigour getting him into not only financial troubles but also for a short period flirting with a jail sentence. For me it happened in the property crash of 2007, I tried for a couple of years to hold on but inevitably accepted my fate. It is a painful experience, but it is also an amazing cleanser that can create a dawn for a new era; it is all about perspective. It took me a while to get back in the game. At the age of 27, I owned 32 retail stores across the North West of England. By the age of 30, I was a millionaire enjoying all of the trappings my fortune could bring. When I hit my 40th birthday I was broke. I was about to lose all the trappings my wealth had brought me – my 18-bedroom home, flash car, luxury holidays and, most devastating of all, I was faced with being unable to provide for my children. It was humiliating. It forced me into a deep depression and I became withdrawn and reclusive. For three months, I wallowed at home, trying to pinpoint the moment it all went wrong. I was desperately trying to buy back what I had lost from a very tough liquidator, who very cunningly took up the role of vultures. The truth is, it was a combination of unmitigated risks, bad luck and, if I’m honest, believing I was invincible when clearly none of us are. I lay at home unable to work until the day I heard my worried daughter’s voice on the other end of the phone, she was sitting in her headmistresses’ office, telling me she would be forced out of her school. I had not paid her school fees. As with any parent, this taste of stark reality hit me like a bolt, forcing me out of my bed and ultimately back into the game. Don’t get me wrong, I know private education is a luxury that many people can’t afford, but I grew up in working class Liverpool, attended a tough comprehensive school and so I always wanted more than that for my kids. Whatever school that my daughter frequented at this point was irrelevant, it was about me letting her down. I could deal with the anguish of failure, but I never wanted my daughter to be faced with the harsh realities that life can bring, at such a tender age. Being unable to provide for them spurred me on, and gave me the push I needed to at least try to rise from the ruin I faced. To be truly bankrupt, you lose all of your possessions and I was no exception to this, myself and my wife, Katie were living in a home that was owned by my company and when the axe fell it severed my connection to our home. At this point in my life I was homeless, although at the time it seemed to me that I was bereft of any kind of fortune, but I was fortunate enough to have met a liquidator who could see I was clearly on a spiral downwards and thankfully for me he allowed me to stay in an apartment for a period of time rent free. Without this who knows what would have become of me. When people talk of the homeless, I do understand their plight the thought of not knowing, whether you could spend another night in your home worrying if the bailiff is about to change the locks is not a thought that I think of without my stomach doing the odd somersault and it is for this very reason why I feel so drawn to helping Liverpool’s homeless and why we wish to become our cities homeless guardians. Starting again, after having the bank manager’s door slammed in my face on numerous occasions was a difficult thing to put up with, but it was just the catalyst I needed to generate funds from other avenues even countries. Before bankruptcy, I had a zest for life, thrived on buying and selling and enjoyed doing business with a passion. I never thought I’d get that feeling back again, as my first thoughts of reincarnation were to simply survive, get my own home and look after my children. I won’t say that getting back into the swing of things was easy but what I can say is because I’ve lived through it, is that there is life after bankruptcy. Yes, it is tremendously tough but my message to anyone in business who has gone through the same thing is: don’t give up, take time out, reflect and then if you believe in yourself and your business concept, go again but never forget the bitter taste of failure. I was fortunate to have the support of Katie, who helped us get back on our feet. Katie, having only known me for 6 months, borrowed almost £1million in her own name, allowing us to purchase back the liquidated assets I had lost. We moved away from the retail industry and back into property development and providing short-term accommodation – starting with just one apartment in Liverpool in 2008. This was a huge gamble, as I was about to take on a sector that had stripped everything from me. Even though I felt damaged by the past, there was a determination that I had not felt before. My drive was insatiable, with my renewed focus and with Katie’s support, we have never looked back. 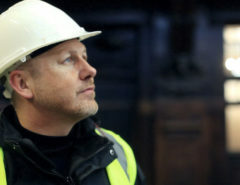 We’re now operating a multi-million-pound company in the hotel and property sector and have been blessed to restore and renovate some of the greatest, historic buildings, including Liverpool’s Grade II listed 30 James Street in 2014 and The Exchange Hotel in Cardiff, of which the development is still ongoing. Funding James Street has to be the most bizarre experience of my entire life. I know that trying to gain funds from the traditional methods, for a man in my position was almost impossible, throw the worst depression the world has ever known in the mix and you can forget any chance of gaining the £6 million pounds I needed to raise to bring this Grade II* listed building back from dereliction into fruition as an iconic hotel. As chance would have it, I had got to know another developer in the area, who I had befriended with the thought of him possibly financing my beloved James Street, but after a couple of months I realised that his business strategy was not one that I could adopt, but I did gain a couple of very interesting contacts along the way. Fortunately, I was introduced to 4 Singaporeans, who to my delight represented a cluster of 700 individual investors, who invited me to show my proposed building to their collective fund. I had never pitched to anyone before, but having been galvanised by the bankruptcy process, I felt like I could walk through a wall to get back what I had lost and so straight from my plane I was ushered in front of my prospective partners and told to pitch to them for an hour and a half, I was petrified. Once finished, the organiser of the event theatrically came back onto the stage and asked all who were interested in this investment opportunity to raise their hands, to my astonishment there were 400 raised hands. The organiser then asked me to walk off stage and sit right in the thick of my would-be investors. Another hour elapsed while I was questioned up front and personal, I found myself getting into my stride, by finding a certain relaxed open style and I gradually felt the general tide of acceptance. The tension for me was starting to rise, I knew how I closed meant the difference of flying home with the required funds to purchase one of Liverpool’s most amazing buildings or lose all the money that I had, as I had placed a deposit of 180k which was non-refundable. This was the largest gamble of my life, but isn’t that what you do when you have nothing to lose? The organiser, to my astonishment, then asked all of my would-be investors to line up against the wall, he handed them a piece of paper and asked them to fill out their name and address, once finished he walked the long line of investors, box in hand accepting their folded golden tickets. Once they were all in he asked my prospective investors to pick out a name. The first one was called out and a guy ran from the back with his arms aloft, just like he had just won the lottery and so this process continued until all 65 units were sold, this was truly an experience that I will never forget. The next day I flew back armed with the knowledge that I had gained all of the investment that I needed, my first hurdle which is arguably the most difficult when taking on a development, which is to gain the funds required. The next which in my view is the toughest, was to get an old listed building back into use as a hotel, on time and on budget, but that is another story. Since then, Signature Living has gone from strength to strength with an extensive property portfolio and we have successfully branched into sectors such as the co-working market, food & beverage and fitness with Signature Fit Club. We have recently purchased two heritage sites in Belfast and are in the final stages of confirming a third and looking for a fourth. The two heritage sites are very special and are iconic listed buildings in Belfast, I am looking forward to bringing them back to life and making them open to the public albeit for a different purpose. 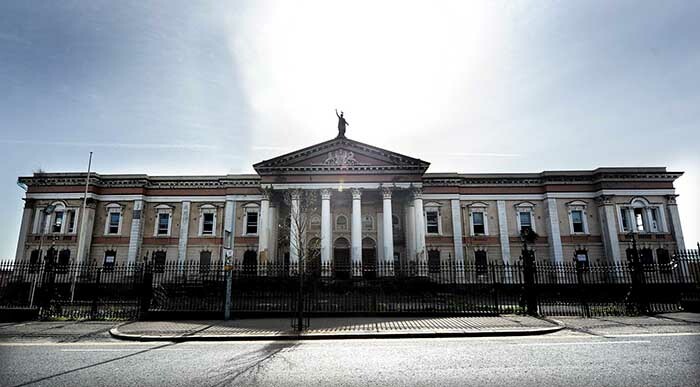 The first building we are going to restore and develop into a hotel is Crumlin Road Courthouse, famous for being the home of many notorious trails surrounding The Troubles. Situated across the road from the Crumlin Road Jail and connected via an underground tunnel, the Grade B+ listed building is in a state of severe disrepair and I aim to sympathetically keep its true DNA whilst opening it up for the public to enjoy and embrace. The second Belfast development is the Scottish Mutual Building within the Linen Quarter of the city. The run-down landmark is Grade B1 listed and an integral part of Belfast’s history. As with our other heritage developments, I plan on focusing on preserving the history and architecture whilst telling the tales of yesteryear. This building has never been open to the public and I am looking forward to opening the doors to locals and tourists who are interested in the rich history of such a magnificent building and city. The third Belfast site is still to be confirmed but we are close to finding the perfect venue. 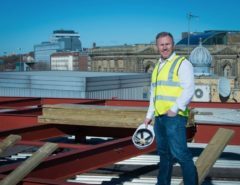 This development will follow the same suit as our Shankly Hotel in Liverpool, which we have developed in conjunction with the Shankly family. The George Best themed hotel will respectfully pay tribute to Best whilst celebrating his personal and professional life. I am pleased that the Best family have given their full blessing to this project and we have exchanged contracts. Keep an eye on our latest news for details on this venue in the near future. Liverpool is the home of Signature Living and we have a number of exciting place for the city. We recently purchased Alma de Cuba, a former church within the Ropewalks district of the city which is a popular late-night venue. We subsequently purchased the rights to the name and have plans to take the Alma de Cuba brand across the UK. 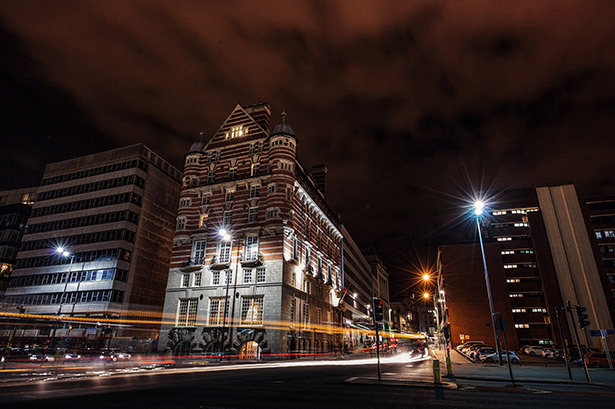 We aim to develop an Alma de Cuba hotel next door to the current site of which the two will be connected, this hotel will take on the party aspect of Signature Living and is the perfect location to do so. 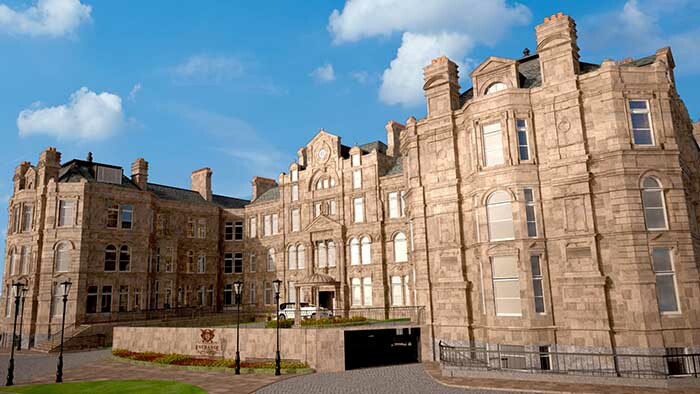 We have exciting plans for three more hotels in Liverpool and look forward to releasing further details soon. 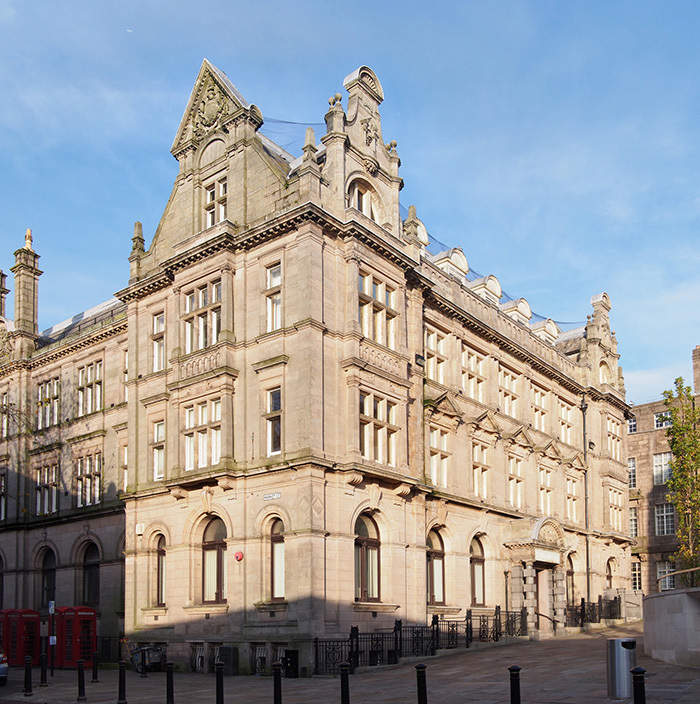 The Old Post Office in Preston will be our first venture in the city and I am looking forward to developing another heritage hotel named the Harris Hotel. The building has been empty for six years and we plan on transforming it into a spectacular luxury boutique hotel. We are hopeful that this will become a real destination in Preston and that our investment will help towards the ongoing transformation of the city centre. Cardiff is a city which I have been keen to explore for a number of years and last year we purchased the momentous Exchange building. The Exchange was in a severe state of disrepair and one of the biggest projects we have undertaken. I am pleased to announce that phase one was completed in May 2016 and over the course of the next few months we will be working tirelessly to transform and restore the rest of the building. 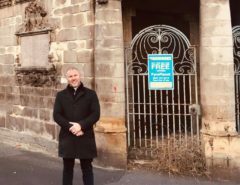 With its own on-site restaurant, Culley’s, two wedding & event venues and a spa, I am hopeful that the Exchange Hotel will be fully operational by 2018. Cardiff is a fantastic city, filled with so much historical significance and the Exchange Hotel is only the first step for Signature Living in this magnificent city, we have plans for four other hotels in Cardiff and I’m looking forward to releasing further details on these locations and hotels soon. We furthermore have exciting expansion plans for other cities in the UK including Newcastle and Bristol as well as heading into Europe and in particular Spain where we have hopes of taking our much-loved party accommodation to the island of Ibiza and the popular resort of Marbella where I am confident our unique and fun suites, which are created for large groups, will be warmly welcomed. Our asset base is worth over £40 million and our projected turnover for 2017/18 is £250million. We are now the largest accommodation provider in Liverpool and have grown our business in the most aggressive environment that the world has ever known. Even if there was another recession I do believe our financial structure has been adapted to take advantage and actually prosper, during these times. On reflection, money came to me so easily so young, and with that a certain amount of arrogance. Bankruptcy taught me to respect money and people. The old saying ‘you have to taste the bitter to appreciate the sweet’ is more than appropriate in my case. I’ve also learned that it is important to surround yourself with people who are as focused and committed as I am. It helps to be passionate about what you do, just like Katie and I are passionate about restoring buildings that have long been forgotten. To me, this is not work, it’s an amazing gift. Bankruptcy was tough; the immediate aftermath even tougher, but you can come back from it. It has given me an insatiable appetite – one that I never had before. I do believe I am a much better man now than I ever was. Fortune favours the brave and what a statement that is. Would I have been so bold if I had something to lose? or has the bankruptcy stigma galvanised me into a businessman that I would never have been? One thing that I know for sure, is that I will never again take anything for granted and what I have amassed will be used for a greater good. Keep up to date with Signature Living’s newest ventures by following our latest news, if you’re interested in becoming a part of Signature Living, take a look at our latest investment opportunities by visiting Signature Investments. Having also been declared bankrupt in 2008 through no fault of my own but due to the recession I lost my business and had to lay 52 staff off. The flaw cars went all the trimmings. Endless interviews with the official receiver… them I drove taxis just to put food on the table. I now have a thriving business in a completely unrelated sector and a couple of rental properties. I also didn’t appreciate the value of money, when you have that much it’s just numbers… I will never make the same mistakes again. Also I regularly do stuff for the homeless as it could easily be any of us. P.s. we regularly stay in James street and the shankly. A credit to you. All the best and every success for the future Lawrence. Fantastic read, well done. My hubby treated me to a champagne afternoon tea for my birthday a couple of years ago at 30 St James Street and it was amazing. Such a beautiful building inside and out. Watched a programme about the Shankly Hotel roof extention a while ago n that was fascinating. Love seeing the progress to the roof top every time I’m waiting for the bus home from town…. Even Daniel House in Bootle, my son looked at renting a flat there last year, but took ill so had to remain home with me n his dad. Infact I trained as a secretary with JHP Training 1985-87, which was located on the first floor of Daniel House. I’m actually a nurse now and a colleague of mine, also a nurse, lives in Daniel House. Good luck for the future and it’s good that you give so much back to your city.